When my husband and I were dating, we went to this great Tex Mex restaurant in West Hollywood called Marix Tex Mex Cafe. Big platters of sizzling fajitas, Baja fish tacos, fresh guacamole, awesome margaritas, all very California. We were dating bi-coastal for a few years, with me on the right coast and Alan on the left. Frequent weekend trips to Los Angeles were part of the deal. Dinner at Marix was one of our first Los Angeles dinners together. I’ll never forget driving to the restaurant, Alan said that Marix was a neighborhood favorite for Jennifer Aniston and Brad Pitt (they were still married at the time). I’m the quintessential tourist. Although I never bought one of those “maps to the stars” sold on the side of the road in LA, I have been known to get a little excited at the prospect of a celebrity sighting. So that was all I needed to hear to get me psyched about dinner. What this has to do with the black bean soup recipe… I have no idea. I guess making this Mexican soup brought back memories of our dinners at Marix. We’ve gone back a few times for those fajitas and margaritas – but alas, not a single good celebrity sighting when we’ve been there. So here’s a healthy black bean and chicken soup recipe that has nothing to do with this story other than there’s some really good Mexican food to be had in California. Add a little olive oil to a large stock pot on medium-high heat. Add the ground chicken and cook, stirring frequently. There shouldn’t be much fat released from the chicken as it cooks. If there is, drain a bit of the grease off. Once the chicken is cooked, add the green and poblano peppers and onion. Cook until softened, then add the garlic. When garlic becomes fragrant, about a minute, add 1/2 of the black beans. Using the back of a wooden spoon or a potato masher, mash the beans – this will help thicken the soup. Add the other half of the beans along with all the remaining ingredients except the cilantro. Stir well to combine and bring to a boil. Immediately reduce to a simmer and cover, cooking for 30 minutes. Taste for seasoning and cook for an additional 30 min. Serve with a dollop of avocado cream and some chips on the side. * You can omit the chicken and use vegetable stock to make this soup vegetarian. Combine the yogurt and sour cream in a bowl. In a separate bowl, mash the avocado well. Add it to the yogurt mixture and whisk together until smooth. Add the remaining ingredients and combine. You can use all sour cream if you prefer. Using the greek yogurt saves a fair amount of calories and it tastes delicious. I used non-fat greek yogurt, but use whatever you prefer. If you want this to be spicy, add more adobo sauce. Dollop on top of soup. This is also delicious served with salsa and chips. Thanks so much! It’s super flavorful and we love it spicy! looks delish – love the avocado cream! Thanks Laviza! It was yummy! I am so excited to try this! 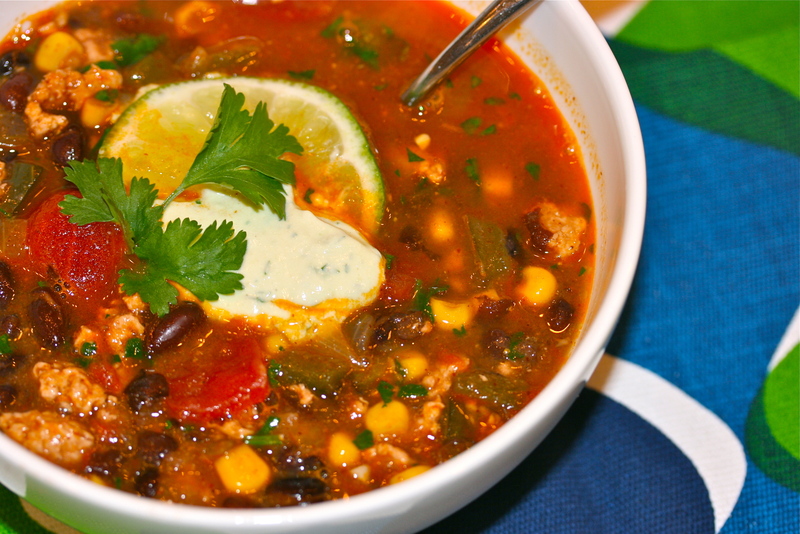 Cam and I make black bean soup all the time – it’s his favorite! But….our recipe is a little blan and we were just saying we need to find a new one! Nancy to the rescue! We will make it very soon! Thank you 4plates for reenergizing our palate! Love you! Let me know if you try it. It’s really flavorful so it should be what you’re looking for… definitely not bland. I hope you love it. 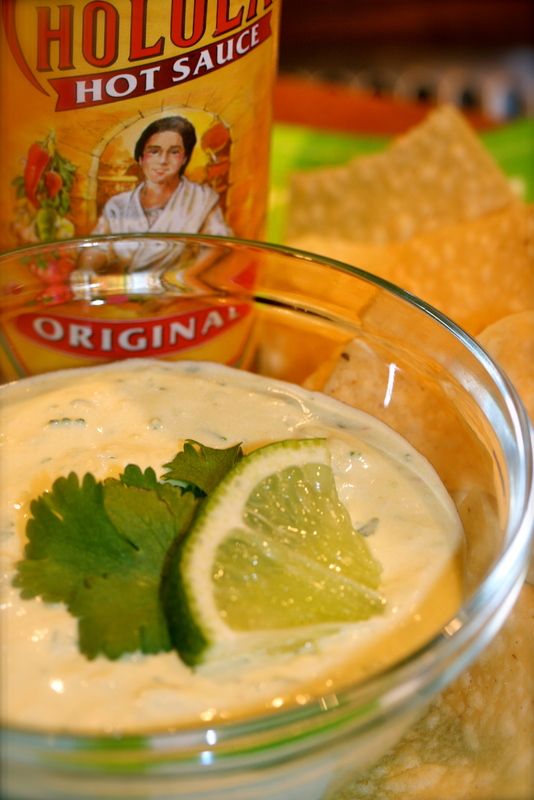 Make the avocado cream and have chips and salsa on the side. So yummy! Love you too!